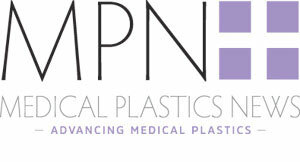 Find out what's on at MD&M East this year with MPN North America's extensive preview. MD&M East aims to be the East Coast event that draws medtech’s top suppliers, giving visitors the opportunity to find the solutions needed to take projects from concept to market, and solve the toughest manufacturing challenges. Organisers of the event are inviting visitors to be the first to witness demos of technology yet to hit the market as well as being able to draw daily insight from free show floor activities and presentations focused on business development, improving patient outcomes, value engineering, design thinking, speed to market, the Internet of Things, and more. Running alongside MD&M are five additional shows – Atlantic Design & Manufacturing, ATX East, EASTPack, PLASTEC East and Quality East – showcasing solutions spanning design engineering, automation and robotics, packaging, plastics and quality. With nearly one thousand manufacturing industry suppliers on one show floor, all sourcing needs can be covered with this event. In an increasingly digital world, face-to-face connections matter. In-person industry networking is designed to help you build relationships faster and more easily than on the phone. More than 9,000 industry professionals from leading companies such as Medtronic, Siemens, St. Jude Medical, 3M and many others will be there, providing access to the connections needed to advance projects – and your career – all in one place. Building a network of industry contacts can seem intimidating, not to mention time consuming! That’s why MD&M East is making it easy with a fast, fun, one-on-one speed networking activity. This allows you to get in front of professionals for five-minute sessions. From engineers and executives to suppliers and key decision makers, the opportunity is there to let you sit across the table from others looking to connect, learn and share. There’s no need to sign up for speed networking in advance, as seats are given on a first-come, first-served basis, but the activity always fills to capacity, so organisers advise getting there early to reserve your spot! The MD&M conference is your key resource for staying ahead in the medtech marketplace, covering the latest medical technology and design. Your pass also includes access to the 3D Printing and Smart Manufacturing Innovation Summits, with unlimited track hopping across a total of 60 hours of in-depth educational content. Each year, the event offers an educational experience designed with the needs of the medical manufacturing professional in mind. Back for its 34th year, the conference is delivering two tracks of education to medtech professionals. Track A: Design – Covering topics ranging from user-centered design, disruptive design strategy and emerging technology, this track is tailored to medical device professionals working in design engineering, R&D, industrial design, and mechanical engineering. Track B: Product Development – This track tackles the latest advances in product development methodologies and strategies, design controls and value engineering, and is ideal for product development professionals in engineering, R&D, quality assurance/quality control, sourcing, manufacturing, regulatory, and design engineering. Attendees can discover how to better define product development and design strategies, and join experts to investigate how products, processes, and people combine to help impact lives — and your bottom line. Center Stage is the base for all of the show action, every day. Free presentations, demos, and spotlights cover need-to-know topics to keep you competitive. Innovative exhibitors showcase their latest products and services at Tech Theater. Ask questions, get answers, and discover new solutions you can engineer into your projects. Join an expert guide for an exclusive tour of the show floor. Tours focus on a key theme, such as smart manufacturing or 3D printing, and give you an up-close look at the latest tech.